At a ceremonial pause in king Benjamin’s coronation speech, all the people cried out with one voice, “O have mercy, and apply the atoning blood of Christ that we may receive forgiveness of our sins” (Mosiah 4:2). The people’s invocation of Christ’s blood comes as no surprise, since king Benjamin, while relaying the message of an angel, had mentioned the atoning blood of Christ five times in his immediately preceding words (Mosiah 3:7, 11, 15, 16, 18). This emphasis on blood is likely related to the ritual festival context of king Benjamin’s speech. Israelite priestly rituals on the Day of Atonement involved daubing and sprinkling blood to purify various parts of the temple (Leviticus 16:14–19, 27). It is perhaps ritually significant that Benjamin mentioned the words “atone” or “atonement” seven times (Mosiah 3:11, 15, 16, 18, 19; 4:6, 7), the same number of times blood was sprinkled on the mercy seat and the altar (Leviticus 16:14, 19). Hearing about the atoning blood of Christ “could hardly have been set more vividly in the minds of his people” while witnessing the sprinkling of blood on the altar. As vivid as that Israelite setting likely was, king Benjamin’s language and imagery of blood would have been further intensified by the New World environment of the Nephites. Ancient Mesoamerican peoples also had harvest festivals. Crowning the king was among the rites and rituals often performed during these celebrations. On such occasions, there would be “an enthronement ceremony wherein the ruler sits upon a wooden tower or scaffold to receive the emblems of rulership,” as depicted on the murals at San Bartolo (ca. 100 BC). From their elevated position atop the tower, the king would perform a bloodletting ritual, which “required that blood [be] drawn from different and specific parts of the body, depending on the ritual.” To draw the blood, often a sensitive area, like the tongue, would be pierced. These rituals, also attested at San Bartolo, were believed to open up doorways connecting the divine and earthly worlds. It additionally served to show that the earthly king was divine. Gardner, however, gave an important caveat. While an ancient Mesoamerican audience “would have been culturally disposed to attribute other-worldly power to blood, atonement was not part of their understanding.” For this, one must draw on the Israelite rituals of atonement and purification through blood rituals—and this is exactly what Benjamin did, declaring: “the law of Moses availeth nothing except it were through the atonement of his blood” (Mosiah 3:15, emphasis added). Hence, Gardner observed, “Benjamin purposefully invokes the image of the Messiah’s atoning blood, not only setting up associations with the Mesoamerican conceptions of blood sacrifice but also with the blood sacrifices of the Mosaic law.” The combined perspectives of both the Old and New World background of the Nephites merge together in Benjamin’s speech to powerfully communicate the efficacious, redeeming power of Christ’s blood. Benjamin Spackman, “The Israelite Roots of Atonement Terminology,” BYU Studies Quarterly 55, no. 1 (2016): 39–64. Allen J. Christenson, “Maya Harvest Festivals and the Book of Mormon,” Review of Books on the Book of Mormon 3, no. 1 (1991): 1–31. 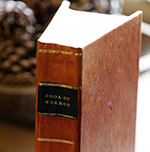 See Book of Mormon Central, “Why Is the Theme of Kingship So Prominent in King Benjamin’s Speech? (Mosiah 1:10),” KnoWhy 79 (April 15, 2016); Book of Mormon Central, “Why Did King Benjamin’s People Gather in Tents Around the Temple? (Mosiah 2:6),” KnoWhy 80 (April 14, 2016). See discussion by Terrence L. Szink and John W. Welch, “King Benjamin’s Speech in the Context of the Ancient Israelite Festivals,” in King Benjamin’s Speech: “That Ye May Learn Wisdom”, ed. John W. Welch and Stephen D. Ricks (Provo, UT: FARMS, 1998), 174–177. T. Benjamin Spackman, “The Israelite Roots of Atonement Terminology,” BYU Studies Quarterly 55, no. 1 (2016): 53–57, esp. 55 n.53. Szink and Welch, “King Benjamin’s Speech,” 176. Allen J. Christenson, an art historian with specialization in Mayan art and language, traced the harvest festival of the highland Maya back into pre-Classic times, finding its motifs in art dating to 500–300 BC. Allen J. Christenson, “Maya Harvest Festivals and the Book of Mormon,” Review of Books on the Book of Mormon 3, no. 1 (1991): 1–31. Mark Alan Wright, “Axes Mundi: Ritual Complexes in Mesoamerica and the Book of Mormon,” Interpreter: A Journal of Mormon Scripture 12 (2014): 85. In the footnote, Wright points out, “the date of the San Bartolo murals falls squarely in the time of Mosiah II, who reigned from ca. 124–91 BC, and whose reign was pronounced upon a tower by his father Benjamin” (p. 85 n.15; cf. Mosiah 2:7–8, 30). Wright also pointed out, “Benjamin ritually presents Mosiah with the royal paraphernalia: the plates of brass, the plates of Nephi, the sword of Laban, and the Liahona (Mosiah 1:16)” (p. 84). Brant A. Gardner, Second Witness: Analytical and Contextual Commentary on the Book of Mormon, 6 vols. (Salt Lake City, UT: Greg Kofford Books, 2007), 3:152. For bloodletting as part of coronations, see the description of Chan-Bahlum II’s (r. AD 684–702) royal succession ritual in Linda Schele and David Freidel, A Forest of Kings: The Untold Story of the Ancient Maya (New York, NY: William Morrow, 1990), 233–234. It interestingly describes “A great roar of grief rose from the gathered multitude … as they saw him emerge, the blood on his white loincloth clearly visible in the oblique light of the setting sun” (p. 234), although it is not clear whether this is their own narrative license. This roar of grief is obviously very different for the cry of the people in Mosiah 4:2, but it is interesting that both are connected to sacrificial blood. Michael D. Coe and Stephen Houston, The Maya, 9th edition (New York, NY: Thames and Hudson, 2009), 89, noted bloodletting is depicted at San Bartolo, dating to ca. first or second century BC. They also mention the attestation of bloodletters from Olmec times. Robert J. Sharer with Loa P. Traxler, The Ancient Maya, 6th edition (Stanford, CA: Standford University Press, 2006), 197 described “a lavish ritual involving feasting, bloodletting, and burning incense” from “the end of the Middle Pre-Classic,” ca. 800–500 BC. So bloodletting seems clearly attested in Book of Mormon times. Schele and Freidel, A Forest of Kings, 68–71. Gardner, Second Witness, 3:152. 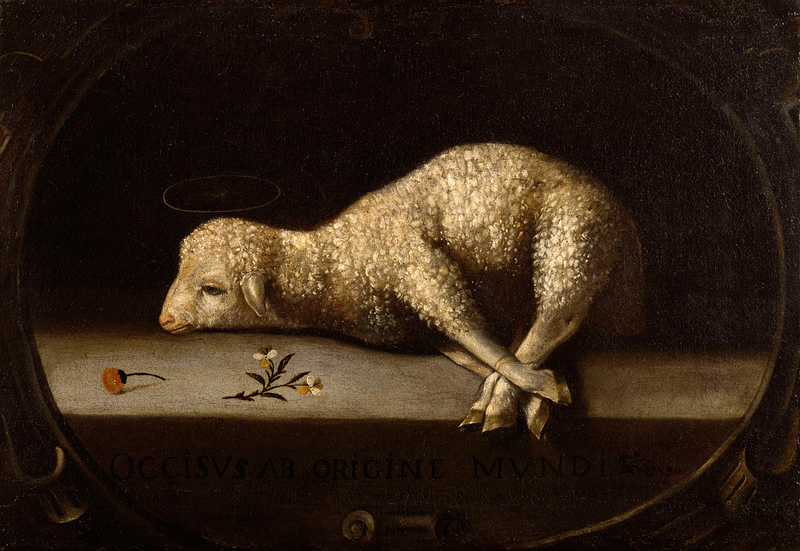 It is interesting that while Benjamin does mention that Christ will be crucified and rise on the third-day (consistent with the motifs in Maya harvest festivals, as pointed out by Christenson), he nonetheless never links the atoning blood to Christ’s death, instead connecting it his bleeding in Gethsemane, where he would “suffer … even more than man can suffer, except it be unto death” (Mosiah 3:7), but would not Himself, at this point, die. This would have resonated with a Mesoamerican audience, where the kings let their blood as a sacrifice, but did not die. It also further underscores the greatness of the sacrifice: the Messiah would be drained of so much blood, it would kill any other man.